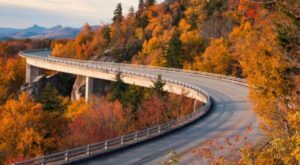 It’s no secret that the best way to travel the US is by car. 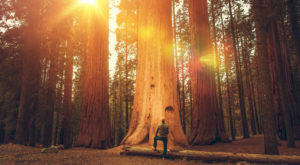 With its scenic drives and breathtaking natural attractions, the American landscape is tailor-made for an unforgettable road trip. 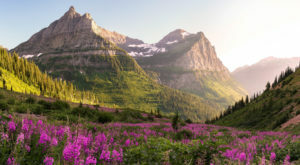 To help you see it all, we’ve designed the perfect route to showcase all seven wonders of the United States. 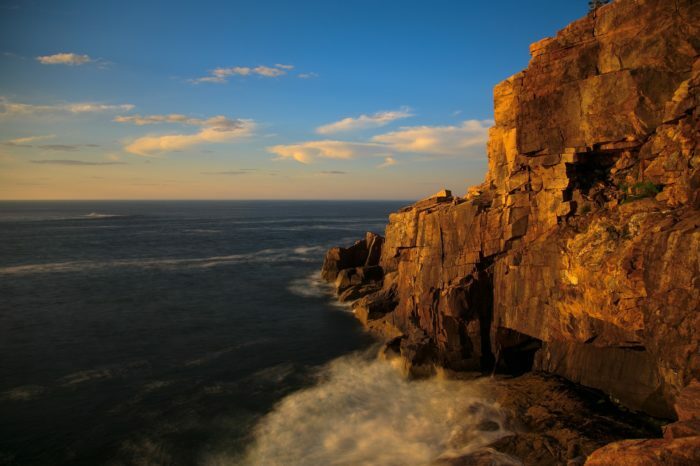 You’ll drive across vast deserts, past towering mountains, and through gorgeous scenery that will lead you all the way to the Atlantic Coast. Better yet, you can choose a road-trip-ready vehicle from CarRentals.com to make sure you get from place to place in style and comfort. Ready to get started? Adventure awaits! 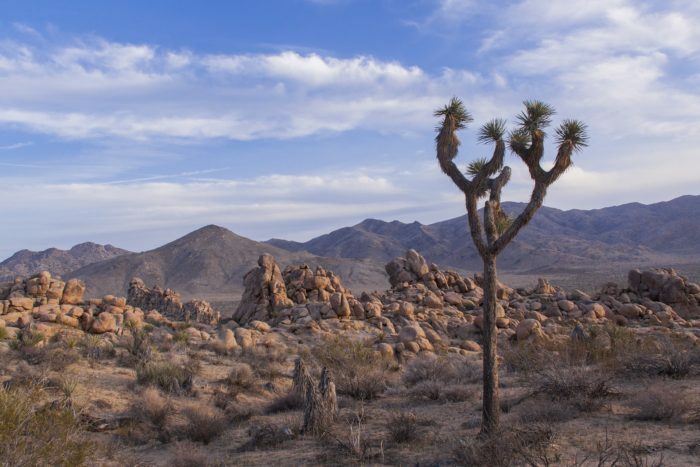 Marked by a rugged desert landscape and bristled Joshua trees, this national park belongs on every road-tripper's bucket list. 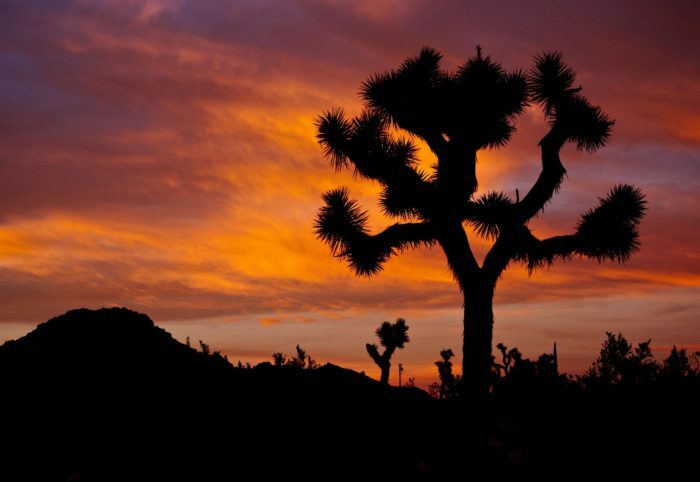 Joshua Tree National Park spans the boundary between the Colorado and Mojave Deserts of southern California. With amazing mountain views and plenty of cacti, this wild landscape attracts both hikers and photographers alike. If you're there after sunset, be sure to look out for those notoriously bright stars. 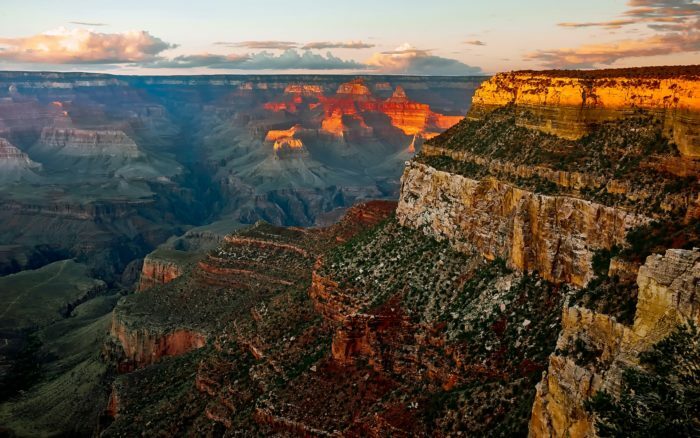 Few places are more iconic to the American landscape than the Grand Canyon. 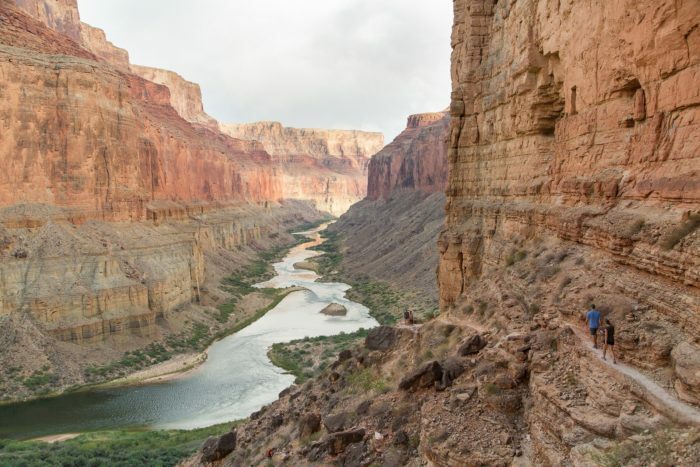 A whopping 277 miles long and 18 miles wide, this vast canyon is the result of millions of years of water erosion by the Colorado River. 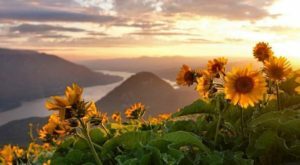 As you peer over the remarkable and endless landscape, you'll understand why this is one of the most famous views in the US. It's also not surprising that this site is considered one of the seven wonders of the world. 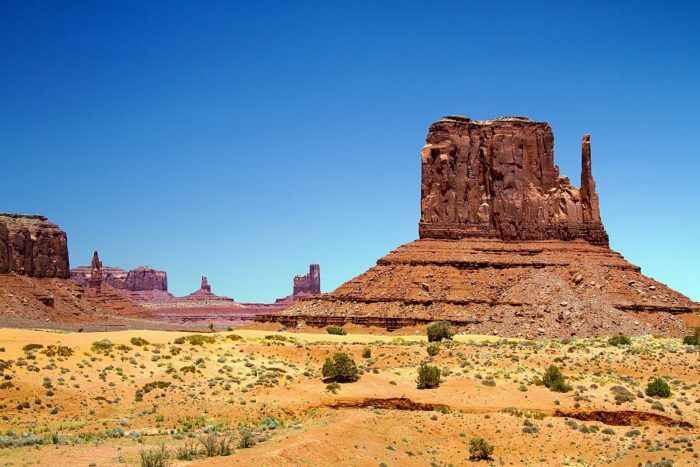 If you've never experienced Monument Valley, prepare to feel like you've landed on the set of an old western. 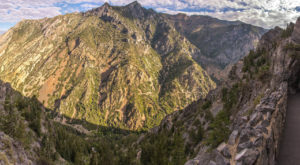 This gorgeous and quintessentially American drive is a spectacular vision of the wild west. 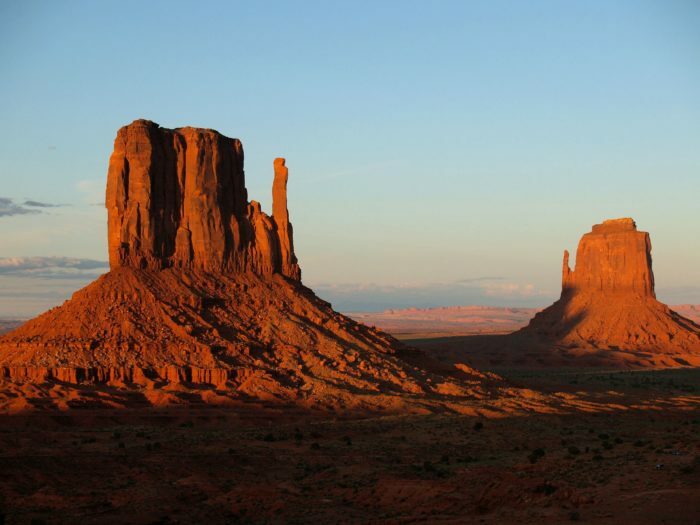 The Navajo Tribal Park is a 17-mile loop that passes by these iconic rock formations. You'll be grateful for a reliable rental car as you tackle the off-the-paved-road adventure. Don't forget to take plenty of pictures along the way. 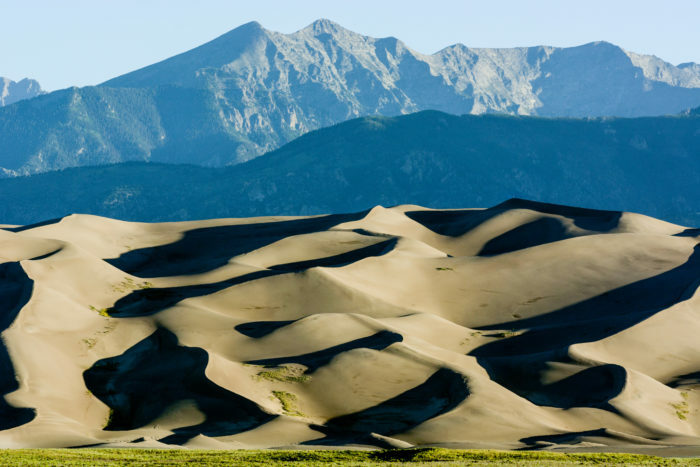 Colorado's Great Sand Dunes National Park is truly a sight to behold. It's like finding a little slice of the Sahara Desert right here in the US. 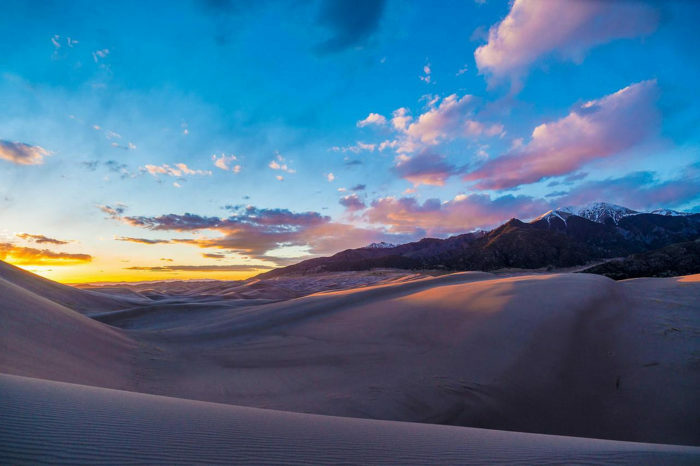 Covering an area of approximately 30 square miles, the park is home to the largest collection of sand dunes in North America. Ever wondered what it's like to go sledding on sand? You can hike up the 750-foot Star Dune and then jump on a sled for an exhilarating ride down. 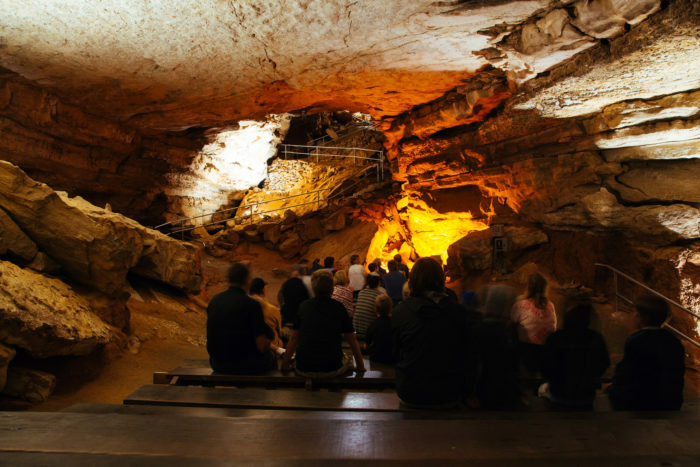 The next stop on our list is one that will actually take you below ground. Welcome to Mammoth Cave, the longest known cave system on the planet with over 400 miles of winding passageways. 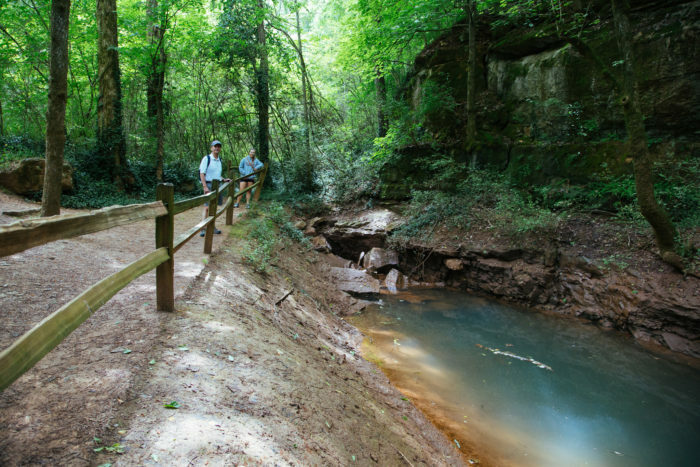 The national park offers guided tours, allowing you to stretch your legs and marvel at this underground world marked by mystery and beauty. 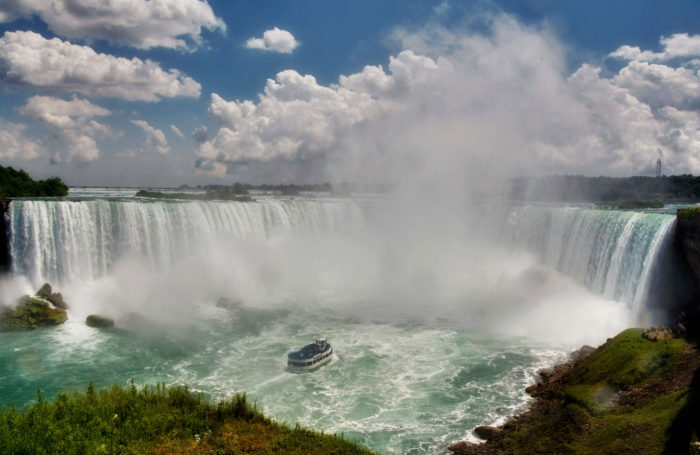 Niagara Falls draws 50 million visitors each year, and for good reason. Even the most beautiful photography pales in comparison to the experience of standing near this behemoth of a waterfall. 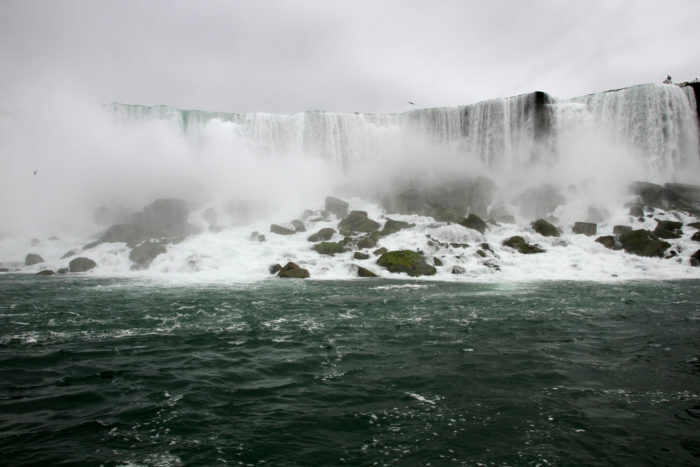 Watching the falls for just one minute, you'll see six million cubic feet of water fall over the crest. Arriving to Mt. Desert Island, you should feel a sense of extraordinary accomplishment. 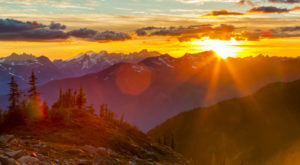 Whether you're completed this entire road trip or have arrived from a closer vantage point, you (and your trusty vehicle) deserve to take in all the scenery of this unique corner of the world. 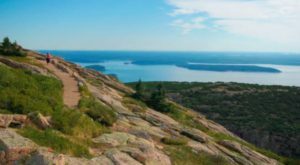 In addition to being the largest of Maine's islands, Mt. 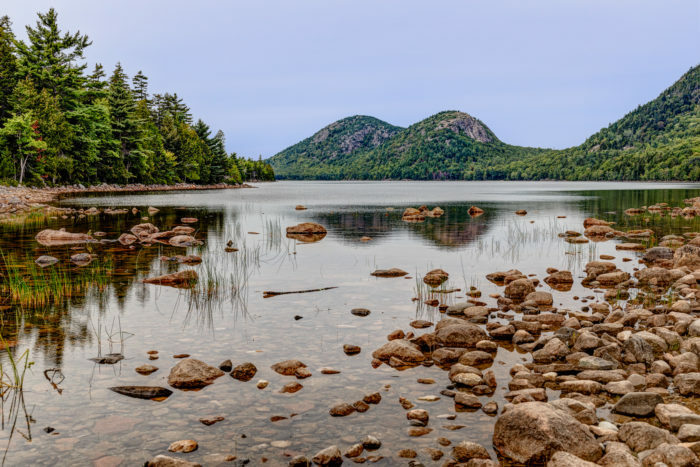 Desert is also home to another must-see destination, Acadia National Park. 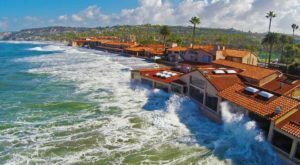 Featuring coastal drives and forested trails, this landmark is the perfect conclusion to your US adventure. 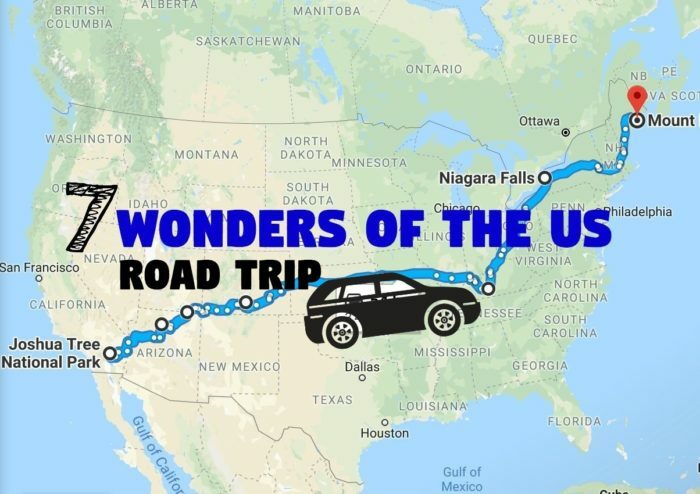 What are your thoughts on this epic US road trip? If you’re ready to get going, head on over to CarRentals.com and pick out your car in less than a minute. Then be sure to check out this interactive Google Map so you can add your own stops.